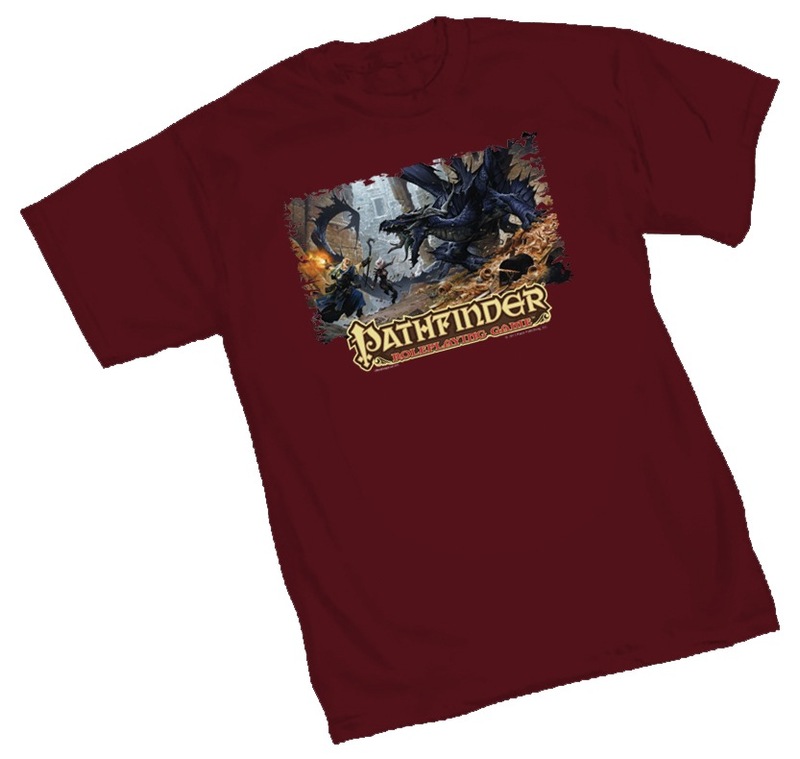 Show your Pathfinder colors! Featuring the cover art of the Pathfinder Roleplaying Game Beginner Box by fan favorite artist Wayne Reynolds, this screen-printed 100% cotton t-shirt is designed to last for years. Also usable for rerolls at PFS events? Of the new designs I like this one the best. I dont think they're available for a PFS reroll but I'd like to see them added to the next Guide. Does anyone have this shirt? I'm curious about the tee shirt material itself ... really thin or nice and thick? Quality or crappy? I like this shirt. It is nice and comfortable. I think you will be pleased Marc. Two years later, and I haven't seen this shirt added to the freeroll list. Is that deliberate? It's DEFINITELY an amazing piece of art, so it must be mine! Just curious if I can get the bennie on it, as well. Will this be available at PaizoCon? I don't know that we can get it posted before then. Lots of other moving pieces. Tonya, as the proud owner of one of these, can we use your post here as authority to get a reroll whilst wearing this t-shirt?